Ken Garrett 6 months, 3 weeks ago. Not sure how the site works and how to access the tutors but are there any video lectures for FA2? You can ask questions to tutors on this forum. Sorry, there are no video lectures for the FIA papers. 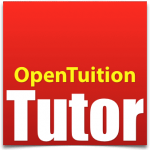 Hello, I’m new to open tuition forum, how can I effectively use the tuition? There are no lectures for FIA papers. Youmcan dpwnload notes, try some questions and ask questions on the forums.